Michael Childs - accomplished artist, woodworking, writer, South Pasadena, California. 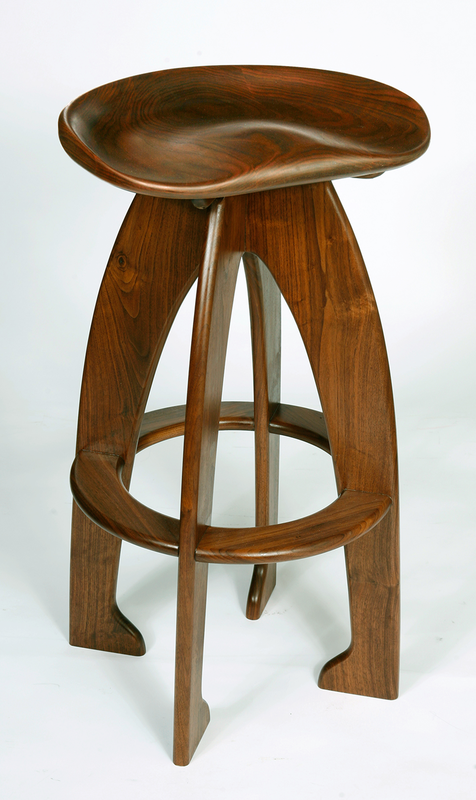 In May of 2008, I woman came to my Open Studio and asked me if I could build stools in walnut with carved seats, in the manner of Sam Maloof, the master chair maker of our time. She had a walnut counter top. I didn't know how to do it, but I wanted to know. I said yes. She flashed me a significant look and left, leaving an address that returned my card, no telephone number, and no email address. I put it out of my mind, when, with a three week deadline, came the call, "Would you build them by such and such date in time for my house warming party?" Yes, of course. I talked to eight woodworkers, studied a video of Sam and his apprentices working on his $20,000 rocking chairs. After two days, I had a variety of tools and a plan combining different ideas, techniques, and my own intuition. Another two days, and I had the seat carved out. The stools were ready in time, but without a finish. I took them back and sanded and sanded and oiled until they gleamed.These two stools represent years of development in the pursuit of producing a carved seat stool that was beautiful, functional and affordable. 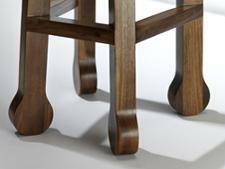 These stools are made of solid wood and finished with an epoxy sealer and many applications of oil. At the Tiburon Art Festival, I asked at least fifty people to sit on the stools. Everyone found them unexpectedly, and wonderfully, comfortable. I came up with a price of $1450 each. Some species of wood would raise that figure a little. Varnish, instead of oil, would be less. I worked out five other designs before my customer settled on this one. I'm looking forward to building chairs. It's your call. The seats below are both machined, hand shaped and sanded and machined and shaped and sanded some more until the shape you see emerged. 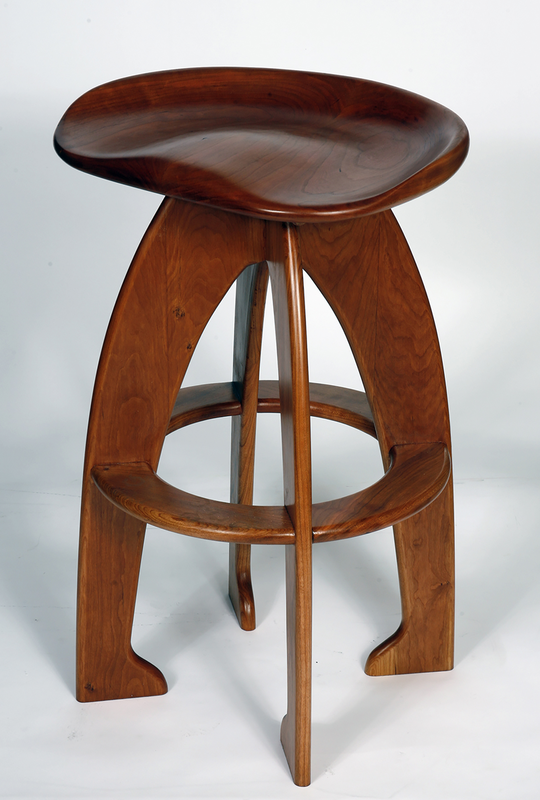 The stools commonly come in maple, walnut, cherry and mahogany. The barstools, 30" high, sell for $900 each with a 5% discount for multiples. 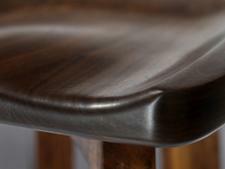 The counter stools, 26" high, are $875 each with a 5% discount for multiples. This is an introductory price for the first 25 stools, of which 6 have already sold.